Some festive folks enjoying the new parquito at Zendo. Cheers to a successful and momentous year! Ending the year with the first parquito in New Mexico, now available in front of Zendo Cafe, couldn’t have been better. Seeing the streets filled with people for our first ever ABQ CiQlovía this fall was incredible and inspiring. 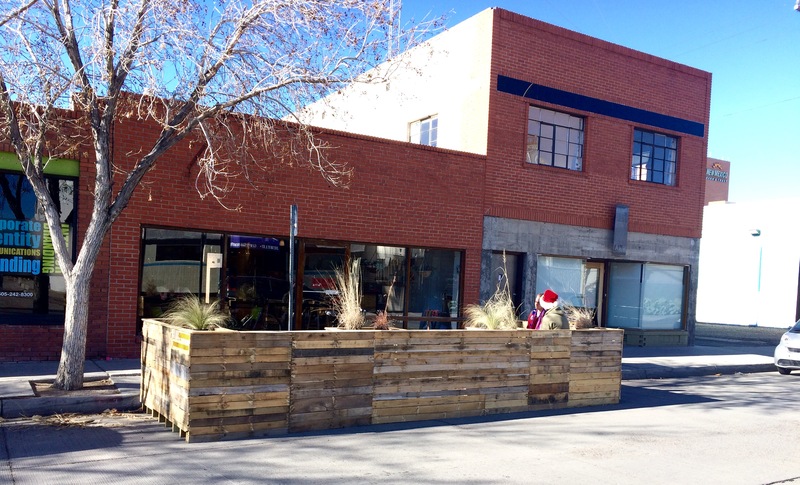 Whether it was the Railyards Market, tactical crosswalk painting in Nob Hill, the CNM STEMulus Center or the completion of the Silver Moon Lodge, it has been exciting to see so many initiatives manifest or finish to completion this year. Below is a list of 2014 highlights (feel free to add more in the comments section!) as well as some expectations and desires for 2015.